Our counselors are an essential part of the Wildwood camp experience. On any given day, you’ll likely see staff leading campers in song, keeping a watchful eye on swimmers in Hubbard Pond, and performing wacky skits around the campfire. What makes the counselor’s role so special is that for the one or two weeks a camper is here, he or she acts as caretaker, teacher, role model, and—perhaps most importantly—a friend. We chatted with Ian, who has worked as a Wildwood counselor for four years, and asked him to tell us about his experience. 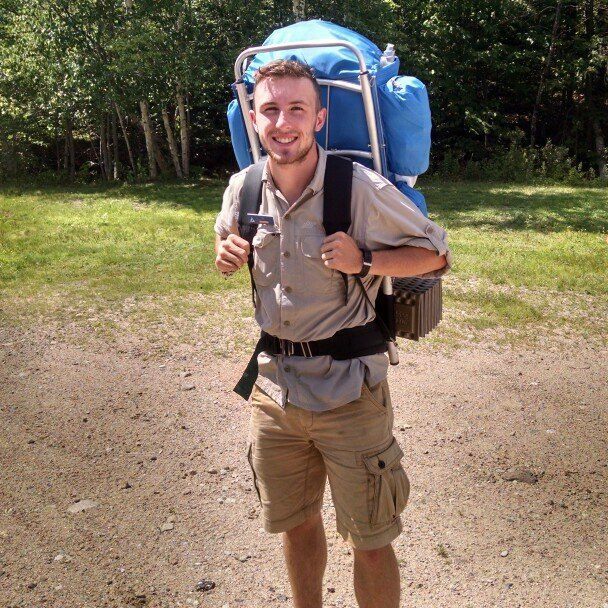 Originally from Amherst, MA, Ian was a Wildwood camper before he became a counselor. What’s your favorite thing about being a counselor at Wildwood? It amazes me every year that at the end of one or two weeks, campers leave wanting to stay in touch with kids they’ve just met and have managed to form a strong connection with. I strongly believe that we are strengthened by our communities, and at Wildwood, the campers and counselors mirror each other in the joy they find by waking up in the environment alongside each other. Tell us more about that sense of connection and community at Wildwood. The connection Wildwood campers feel comes through in the amount of campers I see return year after year, growing and finding new value in their camp community each summer. As a staff member, the community is there, too! Spending 11 weeks in the woods with 30 other counselors might sound crazy, but every year the staff never fails to be a loving, supportive system dedicated to creating an unforgettable summer for the campers. What’s one of the biggest challenges you have faced as a counselor? At Wildwood, the counselors are given the opportunity to create the programs they want to lead, as well as taking ownership over existing programs and bringing their own spin or expertise to them. Working well with other counselors, planning experiential and informative programming, and generating real enthusiasm calls upon the use of a lot of skills. I’m pleased to say that it gets done very successfully and consistently with myself and other counselors! This entry was posted in staff and tagged camp, camp counselor, counselor, summer camp, treks on April 13, 2016 by Staff.